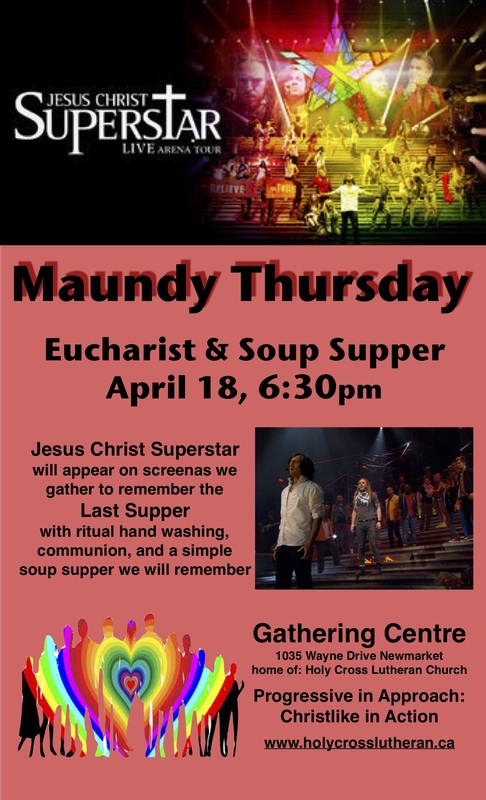 MAUNDY THURSDAY – When you don’t believe that Jesus was a sacrifice for sin! Two images have vied for my attention this week. The first image resembles the shadowy figure on your bulletin cover. 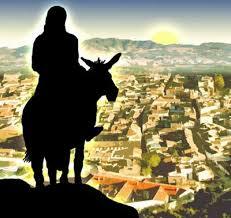 It’s the image of a person sitting atop a donkey heading toward what must be Jerusalem. It’s not surprising that a preacher should be preoccupied with such an image leading up to Palm Sunday. But the second image came as a surprise to me. 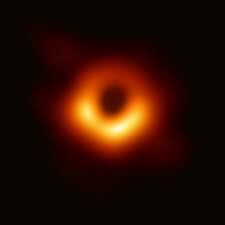 I suspect that most of you have seen the photograph of the black-hole that was generated by astronomers. At least, I think it was a photograph of a black-hole. The truth is, I’m not really sure. I’m not sure what a black hole is. I can tell you what has been reported. Apparently, eight telescopes across five continents joined together for a project known as the Event Horizon to collect the data that generated the image of the black hole at the center of the galaxy called Messier 87. The blurry orange doughnut shape that has flashed across our various screens and devices, is reported to be a black hole that is 55 million light-years away from Earth. That means that the photograph we’ve all been staring is of what this black-hole looked like 55 million years ago. I confess that when I juxtapose the image of a blackhole with the shadowy image of Jesus riding a donkey, I’m not entirely sure that the image of Jesus can escape from the blackhole into which his story has been tossed. I can’t help imagining the image of Jesus on his donkey moving perilously close to the event horizon of the black hole. The event horizon is the outer ring of that makes the black hole visible. “They” say that, in theory the event horizon is a region in spacetime beyond which events cannot affect an outside observer. In reality, the story of Jesus’ journey to Jerusalem has been warped over time into some sort of theological nightmare that casts us all in a sadomasochistic tragedy of cosmic proportions, that is rapidly losing its ability to affect the average 21stcentury observer. Attempting to see beyond a miss-remembered Jesus is like looking through the opaque lens of a black hole. Is it any wonder that we have created such dark images of the Divine MYSTERY that we call god when those images are based on our miss-rememberings of the life and death of Jesus? The Church’s Holy Week commemorations warp Jesus’ journey into Jerusalem with talk of a “sacrifice for sin” that has trained generations to view Jesus’ execution as some sort of cosmic bargain, dreamed up by a maniacal sky-god determined to exact payment for a multitude of sins. This quid-pro-quo view of crucifixion casts the radical, justice-seeking, revolutionary-thinking, subversive Jesus in the role that seems to forsake everything Jesus lived for. Replacing Jesus of Nazareth with a warped image of a suicidal victim of an angry, judgemental, vengeful god who leaves his only begotten son to dangle upon a cross, distorts not only our view of Jesus, but obliterates the image of Jesus’ vision of a loving Abba-God in ways that make it almost impossible to see beyond the blood dripping from the cross upon which Jesus’ was executed by the abuses of empire. 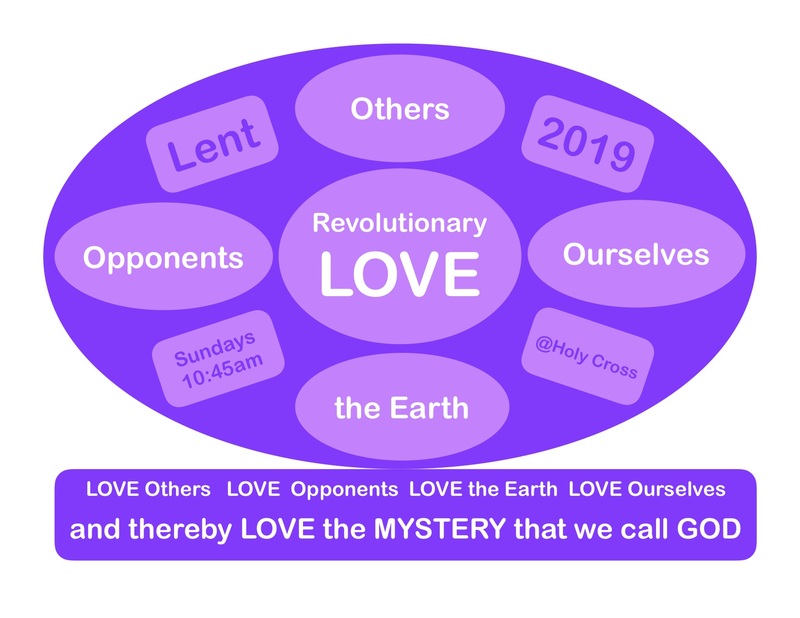 Following a short video clip of Bishop Michael Curry, Presiding Bishop and Primate of the Episcopal Church in the U.S., is a reflection addressing the discomfort of loving the MYSTERY. Below the video you will find my notes for the reflection. You see this someone bemoaned the fact that it is so much more difficult to wrap our arms around the MYSTERY that is LOVE, than it is to relate to the faraway-sky-god, the all-powerful, all-knowing, wish-granting, string-pulling, Father-god who lives, safely up in the heavens. Faith and Begorra! St. Patrick’s Day fall on a Sunday this year!. Yes, it is also the second Sunday in Lent and and the perfect time to explore Jesus’ use of the image of God as a mother hen, but St. Patrick’s Day provides so many rich opportunities to explore some thirst-quenching images. So I’m reposting this sermon I preached six years ago because the memory of preaching with a Guinness glass in my hand still makes me chuckle. The best way to fully appreciate this sermon is to pour yourself a glass of your favourite tipple, sit back, listen and enjoy a laugh. For those colleagues who are busy searching for sermon ideas for this coming Sunday you can read my attempt to write with a Belfast accent below…you’ll probably need a tipple of some-at to get tru it! Cheers! 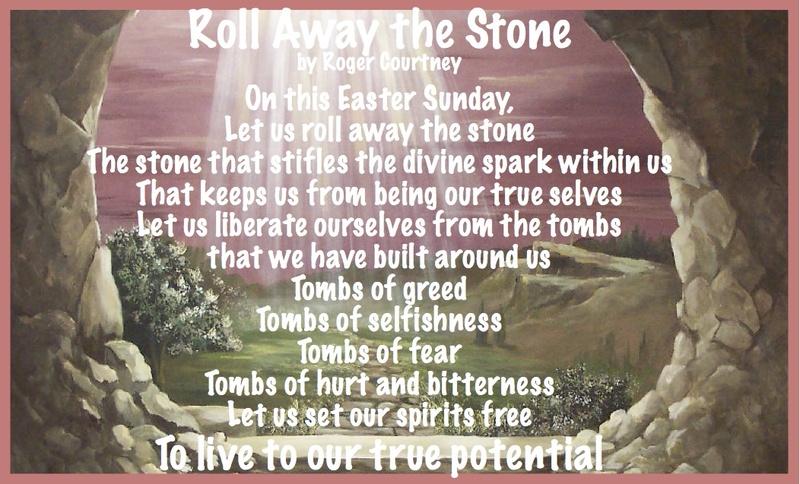 On this particular St. Paddy’s Day, I decided to be somewhat playful and irreverent with a sermon designed encourage folk to think beyond words on a page. The first reading brought the wonderful story of the Daughters of Zelophehad to church and as this reading does not appear in the Revised Common Lectionary it was fun to play with these feisty women. The reading from the book of Acts is actually the prescribed reading for the commemoration of St. Patrick and the Gospel text is prescribed for Lent 5C. The Guinness was just for fun! Enjoy. 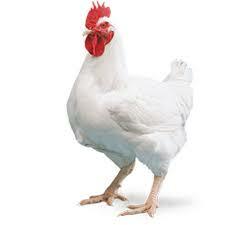 Take a look at that there??? Sure there’s nothing better on a St. Paddie’s morning than a glass of Guinness….an so… Well you’ll notice that this here particular glass of Guinness, well she’s as empty as Paddie’s pig on market day… An so…for the rest of this wee sermon you just think of me as the preacher who had we tipple before she set about tellin ya what’s what. 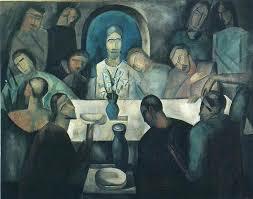 My glass might be empty, but my heart is full… Full a the devil some may say…or full a the love a Jesus if the truth be told…an so… Where was I? 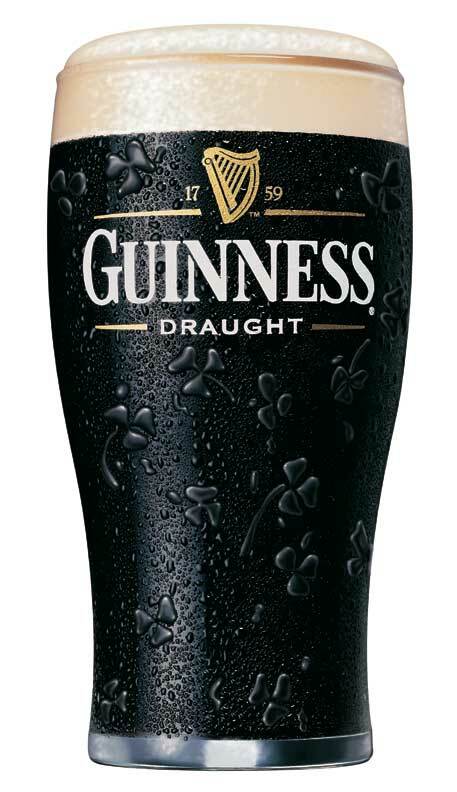 Yeah, sure it’s St. Patrick’s Day and all the world is Irish if only until ya fill there glass. And then faith and begorra…that’s when the truth comes out. That’s when you find out who really saved the world. Now like any good Irish story, we’re gonna wander a bit…so falla me, for like my dear old Nannie used to say, you’d better falla me cause I’m right behind ya. That’s right falla me I’m right behind ya. But that should be no trouble for you lot, cause ya haven’t touched a drop. Yet. And a drop is all you’ll be gettin for have ya seen the size of those Jeesus jiggers; Why you wouldn’t quench the thirst of the devil’s flees with the wee titch of wine they give ya in dose wee glasses. An so…the Irish and those that want to be Irish well this is a big day indeed. 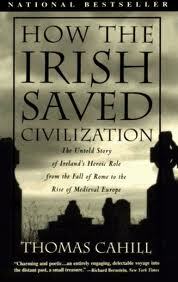 An so… I want to tell us all, exactly how the Irish saved civilization, an, an, I’m gonna tell the truth about St. Patrick himself…an, an, while I’m at it, I wanna take to use about those Daughters of Zolophehad, now there were a bunch of girls if you know what I mean…and speaking about a bunch a girls, while I’m at it I wanna tell ya all about those Marys…Faith and begorra, who’d be havin it? This morning’s sunshine has left me longing for spring. I know that when all is said and done this winter will probably go into the record books as a particularly mild one. But even so, I’ve grown weary of the trappings of winter and I cannot wait for spring to arrive. On Friday I found myself suffering from a case of cabin fever. I’d spent the day working in my office and even though my desk faces a large window, the dull grey hue of the cold, overcast, afternoon made me long for spring, when the sunshine would entice me to open my widow and I’d hear the sounds of the world out there waking up from its long winter nap. From my office window I caught a glimpse of some kids who judging from the time of day, were heading home from school. As they trudged along the sidewalk, the sight of their mother tagging along behind them made me incredibly sad. Those poor kids were being escorted by their mother. How in the world were they ever going to have any adventures with their mother tagging along behind them? I know that the world has changed some since I was a kid, but the adventures that we could have on the way home from school, well let’s just say, what our mothers don’t know can’t hurt them. The kids walking down the street on Friday, were going straight home; something we rarely did. We wandered home from school, and it could take hours to get home. Now I know that some of you may be fond of saying that when we were kids, we had to walk for miles and miles and miles, and it was all uphill and the sidewalks weren’t ploughed back in the day and the snow, well you should have seen it back then it was piled as high as the rooftops and we had to trudge through snow drifts that were taller than we were. Yeah, yeah, kids today, they just don’t know how well off they really are. Or are they? Today, Valarie Kaur’s TEDtalk: “3 Lessons of revolutionary love in a time of rage” portrays the embodiment of LOVE in the life of a social activist, lawyer, filmmaker, Sikh, and mother, who envisions a world where LOVE is a public ethic. 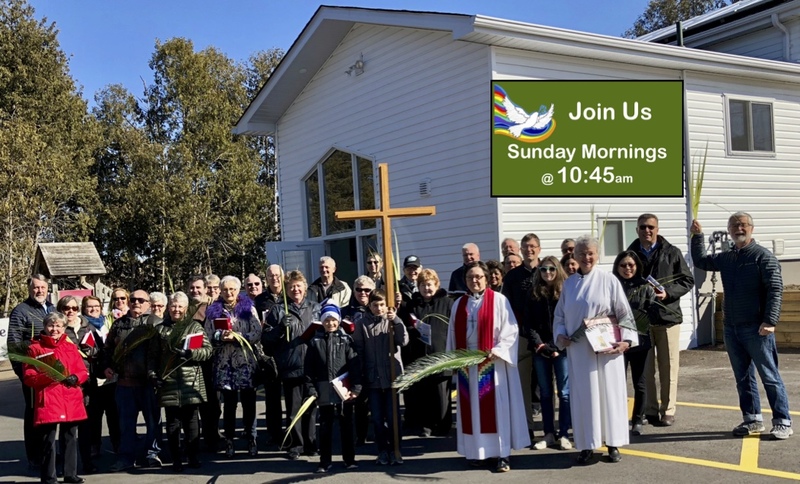 Following our worship, our Annual Congregational Meeting began and we had plenty of opportunities to talk about the things we value about Holy Cross and the various transformations that we have experienced as well as our hopes and dreams for the future. As many of you know, one of my favorite ways of attempting to name the DIVINE comes from the fourth century Bishop Augustine of Hippo. Augustine’s trinitarian formulations describes the DIVINE Creator as the LOVER, Christ as the BELOVED, and the Holy Spirit as the LOVE that binds them together. LOVER, BELOVED, and LOVE Herself! 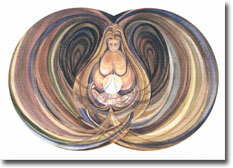 Remember that Spirit is feminine in both Hebrew and Latin. LOVER, BELOVED, and LOVE Herself! Now the trouble with words is that words let us down. Words are after all simply symbols pointing beyond themselves to something other than the words. Words are a way to make meaning and to share whatever meaning we make with one another. The trouble with words is that words tend to let us down when it comes to making meaning of our experiences of the DIVINE MYSTERY. Words simply aren’t capable of giving us more than a glimpse of the DIVINE MYSTERY that is the LOVE that we call GOD. Someone muttered to a friend: ‘He obviously doesn’t want to face facts, but let him think what he likes, after all, this is better than him being sad about it.’ So, his neighbours went away, pretending to agree with what the farmer had said. A week later, the horse returned to its stable, but it was not alone; the horse brought along a beautiful mare for company. The inhabitants of the village were thrilled when they heard the news, for only then did they understand the reply that the farmer had given them, and they went back to the farmer’s house to congratulate him on his good fortune, ‘Instead of one horse, you’ve got two. Congratulations!’ they said. A month later, the farmer’s son decided to break the mare in. 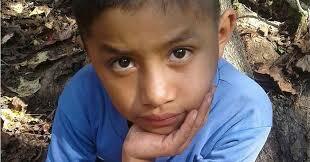 Unfortunately, the animal bucked wildly and threw the boy off; the boy fell so violently that he broke his leg. The neighbours returned to the farmer’s house, bringing presents for the injured boy. The mayor of the village solemnly presented his condolences to the farmer, saying how sad they all were about what had occurred. Jesus’ comments about blessings and woes are sometimes interpreted as a forecast of what is to come. The poor shall be rewarded, the hungry will be filled, those who weep will laugh, being hated scorned, insulted, and spurned won’t be so bad because this will gain you a great reward. But woe to those who are rich because you’ve had yours now and there won’t be more of that. Woe to you who are full because you are going to be hungry. As for those of you who are laughing now, woe is me you are going to weep in your grief. As for you whom folks speak well of, well we all know what horrors are in store for you because we’ve seen it all before. It’s as if these blessings and woes are a kind of prediction of a reversal of fortunes. Well if that’s true, I have only one thing to ask of Jesus: Where’s the good news? What’s the point of predicting that things are going to be turned upside down? Is Jesus really pointing toward a Creator who is nothing more than a judge who’s going to punish those who appear to have one life’s lottery, so that the apparent losers can become apparent winners? Well as someone who is blessed beyond measure, I don’t really want to know let alone worship such a Deity. And I can tell you this, I hope that even if I was poor, I wouldn’t wish poverty on my worst enemy, even if that enemy was a greedy, filthy, stinking, rich so-and-so. After all is said and done, isn’t Jesus the rabbi who lived and died teaching the way of LOVE? Cleary, we need to look beyond interpretations that set up the apparent winners and losers as players in a perverse game of reversal of fortunes. It’s long past time for us to move beyond a quid pro quo philosophy that pits winners and loser against one another as if the only way we can have winners is if someone loses. The year was 1969. I was just twelve years old and my family had only recently moved to Ladner, a small village south of Vancouver. I was the new kid in a tightly knit grade seven class. I remember being angry, a lot. Being twelve is tough, but being twelve and new in town; well that’s a kind of hell I wouldn’t wish on anyone. There were only two places I felt safe: One was my bedroom where I could escape into my books or listen to music. The other place was music class. We had a really cool, young teacher, she must have been fresh out of teachers’ college, because she had all these new ideas about something she called music appreciation. The songs we sang in Miss Conroy’s class were songs off the radio. Some days she’d let us put our heads down on our desks and she’d just play music and all we had to do was appreciate it. Not all of the music was stuff we’d heard on the radio, sometimes Miss Conroy would sneak in some jazz; not any kind of jazz I’d ever heard before, improvisational jazz; it was so cool to my twelve year-old ears that I gave Miss Conroy a pass when she would slip into teacher mode and put some classical music on the record player. One day, Miss Conroy announced that we’d been listening to her music long enough; it was time we began to listen to our music. Miss Conroy explained that she was going to divide us into pairs and each pair would have to work together to select a piece of music to bring to class and share it. We would have to explain to the class, why the piece that we choose was worth paying attention to. Now even though there were all sorts of pieces of music that I thought would be great for this assignment, I began to panic. Who on earth would want to work with me on such a project? The thought of being teamed up with anyone of my classmates struck fear into my heart. I didn’t have any real friends in this class and as the new kid I knew that nobody would want to be stuck with me. Vision’s of being left out, all alone without a partner began to overwhelm me, as Mrs. Conroy announced that we would be drawing names out of a hat in order to determine who our partners would be. When my turn came to pull a partner’s name out of the hat, I didn’t even know what to hope for. I didn’t know people well enough to want anyone in particular to be my partner, there was only one person in the whole class that I knew that I knew well enough to know that I didn’t want to be my partner. I, like all my classmates was positively terrified of, for the sake of this sermon I’m going to call him Kenny. Kenney sure wasn’t twelve; he was a few years older than the rest of us. He was a big guy; dark hair, good looking, and unlike the other adolescent boys in the class, Kenny had already started shaving. Once during the lunch hour I witnessed Kenny bullying a younger boy into eating an apple core that had been discarded a few days earlier. The kid ate the rotting core rather than face whatever it was Kenny was threatening him with. Kenny was big, tough and loud. Most of us were frightened of Kenny and because kids are cruel, behind his back we diagnosed him as crazy. But there was something about Kenny, maybe it was his good looks, maybe it was the buckskin fringe jacket that he sported, or maybe it was just his wildness that made him the talk of the jittering boy-crazed girls in the class. So, I was more than a bit upset when of all people, I pulled Kenny’s name out of the hat. What piece of music could the two of us possibly have in common and how was I even going to talk to him? Miss Conroy slipped perilously into my bad books on the day she forced me into the company of the dreaded Kenny. Ours was an uneasy partnership. There was precious little conversation involved. Kenny picked the piece of music. Kenny told me what I was going to tell the class about our piece of music. Fortunately, I actually knew and liked the piece that Kenny had chosen. It had been a big hit the previous summer and I owned a copy of the record. The only problem was that my copy was a 45. Kenny insisted that we just had to use the version that was on the album; not the version that they played on the radio off the 45. The version on the album included the trumpet solo that never made it onto the 45. It would have made the song too long for the hit parade! And that’s how I ended up in front of my classmates, standing beside a boy, who though handsome and tough had suddenly become monosyllabic as I struggle to explain why our choice of Blood, Sweat and Tears, Spinning Wheel, was music well worth appreciating. let the spinning wheel turn. on the straight and narrow highway? Let the spinning wheel fly. They just don’t write songs like that anymore. Kenny was right, the trumpet solo, is a must. 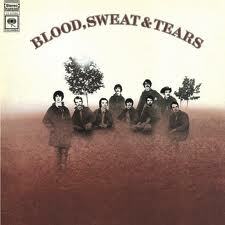 Blood, Sweat and Tears had the best horn section. They could take a mediocre song and turn it into something special: “Spinning Wheel,” “You’ve Made Me So Very Happy,” “God Bless the Child,” “Hidey Ho, Hidey Hi,” “And When I Die.” Thanks to Kenny, I bought every LP that Blood, Sweat and Tears ever recorded. I have never much cared for John the Baptist. Everything that we read about John the Baptist in the Christian Scriptures makes me think of him as Jesus’ red-necked cousin. You know the kind of family member I mean. We all have one or two in our families. Some of you may have had the pleasure of being visited by one of your fanatical red-necked family members over the holidays. We’ve all been there. Stuck around a dinner table, trying to steer the conversation clear away from anything remotely political; fearing that at any moment our red-necked relative will go on a rant about immigrants coming into this country and threatening our culture, or the government wasting millions on foreign aid, or women with their feminist agenda’s wanting it all, and those lazy poor people who need to pull themselves up by their bootstraps and stop expecting handouts, or heaven forbid, the relative whose neck so flaming red that they, at the drop of a hat, will sing the praises of the likes the orange fellow who lives in the White House, who they think is on to something because he refuses to be politically correct and tells it like it is. You know that relative of yours who keeps reminding you of the good old days and the need to return to them because if we spare the rod, we will spoil the child. “Pay attention people! You think my raving on and on about repentance is annoying? You think my baptism is demanding? There is somebody coming who makes me look like a wimp. There is somebody coming who has real fire in his belly. Somebody who will take your tools out of your hands, and wipe the floor with you, and toss the lot of you into the fiery pits of hell! You brood of vipers!!! You just wait! Be afraid. Be very afraid!!! You’re all going to get yours! Maybe it’s because I’ve directed too many Christmas pageants, but when I hear the story of the Magi visiting the baby Jesus, I don’t think of three kings at all. No visions of regal visitors decked out in their finest riding atop camels guided by a star for me. Just memories of little boys, all decked out in colourful shiny robes that threaten to trip them up, giggling and roughhousing, with their cardboard crowns askew. Of all the little boy kings that I’ve tried to corral, one of them stands out from all the rest. Perhaps I remember him so well because he was so little that we couldn’t have him kneel at the manger because we were afraid that he would disappear into the hay and our audience would only see two Wise Guys paying homage instead of three, or maybe it was the speed with which he dashed in and out of the gang of shepherds who threatened to trip him up with their crooks. But I really think it was the ingenious way he solved the problem of his lost gold, that makes little Jay stand out from all the other little boy kings. Little Jay’s mother, like all the mothers of all the kings, was responsible for creating a facsimile of the gift her wise son would bestow on the baby Jesus. Unlike some of the feeble efforts that I’ve seen over the years, Jay’s gift of gold was a cut above the rest. Inside an elaborately carved box that his Dad had picked up on his travels to the Middle East, Jay’s mother had placed upon a bed of statin a carefully created block of wood wrapped in golden gift paper. When the light hit the gift, it sparkled so very splendidly. It must have impressed Jay, because he was forever opening up his box to show his fellow cast-members his sparkling gift. During the dress rehearsal, Jay’s performance was splendid. Jay positively perfected the art of gazing up at the makeshift star that hung above the altar just east of our makeshift manger. When he arrived at the place where the newborn baby Jesus lay in a makeshift manger, who just happened to be a little girl that year, Jay strode right up to her mother Mary and opened the box containing his sparkling offering and proudly announced his gift of gold for the new born king. “They,” whoever “they” are, say that if the rehearsal does not go well then, the performance will be wonderful. So, I was more than a little worried when our dress rehearsal went off so splendidly because that could mean only one thing, and I wasn’t looking forward to a performance where things went wrong. Sure enough, unbeknownst to me, on the morning of his big performance, somewhere between his house and the church, Jay lost his golden gift. All he had was an empty box when he showed up at his father’s pew wailing because all was lost. Jay had no gold to give to the baby Jesus. A number of years ago, back when I had only been a pastor for a couple of years, on the Sunday just before Christmas, immediately after our worship service, I travelled over to the hospital to pay a visit to a member of this church. I was all decked out in my Sunday best. So, I very much looked the part of a pastor. Back then, I was very unsure of myself in my new role as a pastor. Nothing made me more uncomfortable than hospital visits. I felt like I was a bit of impostor. It was the Sunday before Christmas, and even though the collar around my neck often felt like it might choke the life out of me, that collar proclaimed to everyone at the hospital that I was there in my professional capacity. I sat down beside her and listened to her story. When you’re wearing a clergy collar people presume all sorts of things about who you are. This distraught young woman presumed from my attire that I was a competent professional who could accomplish what she could not. 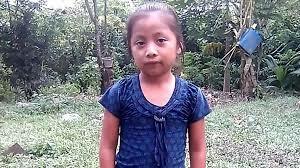 Tearfully, she told me that her farther, from whom she’d been estranged for many years, was dying and needed a priest. 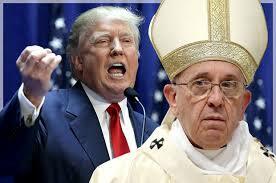 She had called the Roman Catholic churches in town and none of the priests were available to come right away. The young woman explained that she was afraid that there may not be enough time to wait for a Roman Catholic priest. She asked me if I would be able to administer the Last Rites to her father. I hesitated as I considered her request. Every Christmas, the parables, myths, stories, metaphors, and symbols that proclaim the birth of God among us do more than recount the birth of a baby in an ancient faraway land. Every Christmas, these parables, myths, stories, metaphors, and symbols proclaim the birth of hope in us; hope not just that some far off supernatural being is going to come and save us from the worst of who we are, but hope that the Source of ALL, the Creator of Universes, the ONE Who IS, WAS, and Every More Shall BE, the ONE in Whom we LIVE and MOVE and Have our Being, this ONE who lies at the very heart of reality, is born over and over again to live and breathe in, with, through, and beyond us. The words just don’t do this reality justice, so we resort to the power of these parables, myths, stories, metaphors, and symbols, to move us beyond words so that we might approach the truth of our humanity. It has been said that the shortest distance between humanity and the truth is a story. So, is it any wonder that we approach this sacred celebration of who and what we are, by telling stories. Together, at Christmas, we participate in the birth of a child. We see in the image of a new born baby swaddled in our hopes and dreams. All our longings for LOVE and peace rest in the images that live and breathe in this story that has been handed down to us. It is a story we know so well and yet, it is a story that we have barely begun to understand. Like all stories, we can simply listen to it, or read it, and respond with little more than a nostalgic nod to simpler times when we hoped that someone or something out there, or up there, would come and save us from ourselves, our warring madness, and selfish greed, or we can open ourselves to the transformative power that some stories have and we can boldly dare to participate in the story, engage it, wrestle with it, and make it our own. If we let it, this story can open us to that which lives and breathes beyond the words of the story. The characters in this story can live and breathe and have their being in us.